for $715,000 with 4 bedrooms and 2 full baths, 1 half bath. This 2,829 square foot home was built in 1990 on a lot size of 0.129 Acre(s). 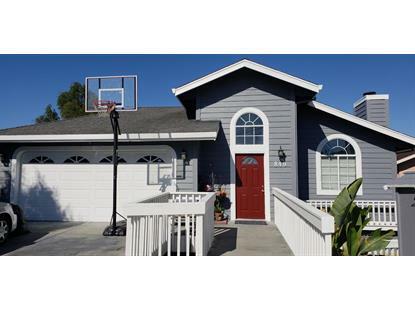 BEAUTIFULLY DESIGNED HOME IN THE HEART OF WATSONVILLE! The lovely landscaped front yard compliments the freshly painted exterior of this fabulous home. As you walk into the top level of this 2 story home, you will instantly see yourself entertaining many future events. The top floor includes a living-room, dining room, family room, half bathroom, laundry room and kitchen. The kitchen includes stainless steel appliances and built in office area. Enjoy the 1 of the 2 patio decks right outside the kitchen door. The bottom level of this unique home has 4 bedrooms and 2 full bathrooms. The master bedroom suite includes its very own fireplace, a full bathroom and walk-in closet. The second patio deck is right outside the lower level hallway. The backyard has bonus area under the top deck currently used as a workout area, possible wine cellar or storage room on side of the house (approx 12x20), an Avocado and lemon tree. Call your agent for a tour of this one of kind home!